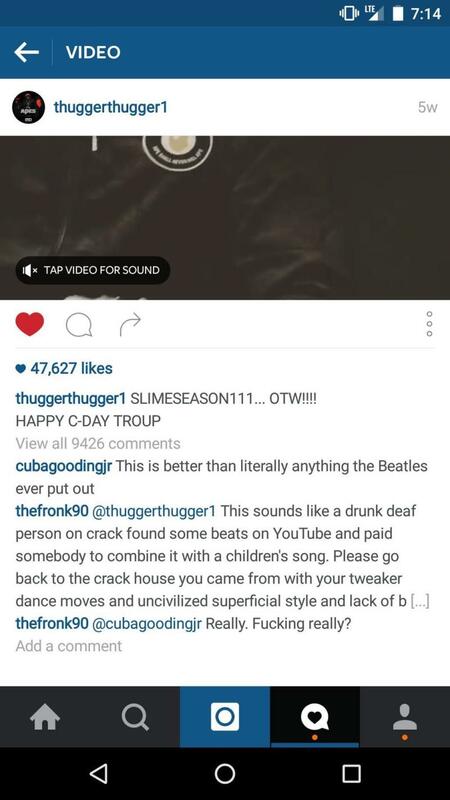 Young Thug has some new legal troubles on his hands and seems to disappear from social media. The Atlanta rapper is only following one person on Instagram and that is Cuba Gooding Jr and he has deleted everyone single photo he ever post on his profile. While the deleting of photos is not something new for celebrities, but him following only Cuba Gooding is rather strange. 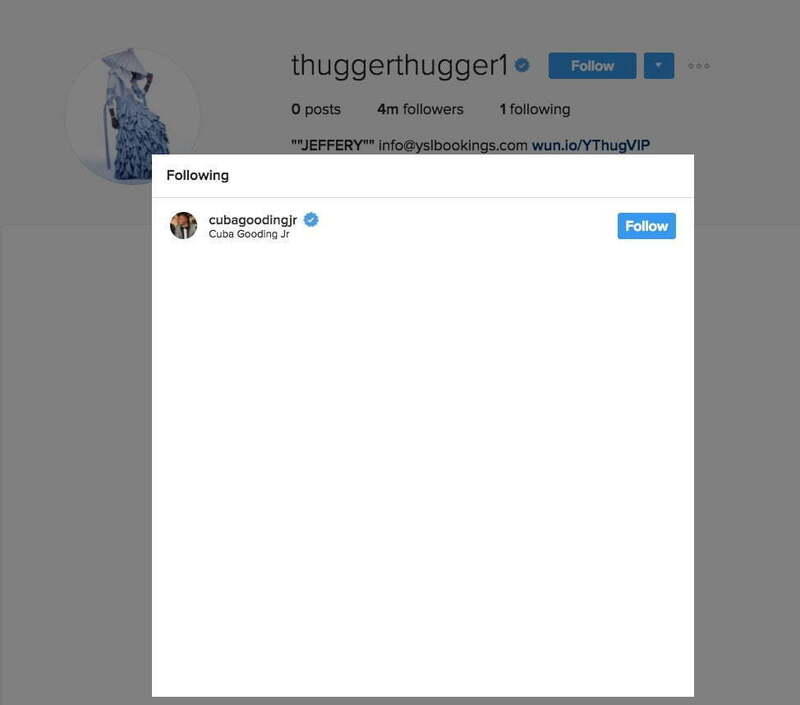 Prior to this weekend, Young Thug had thousands of photos and was following a lot of his family and celebrity friends. 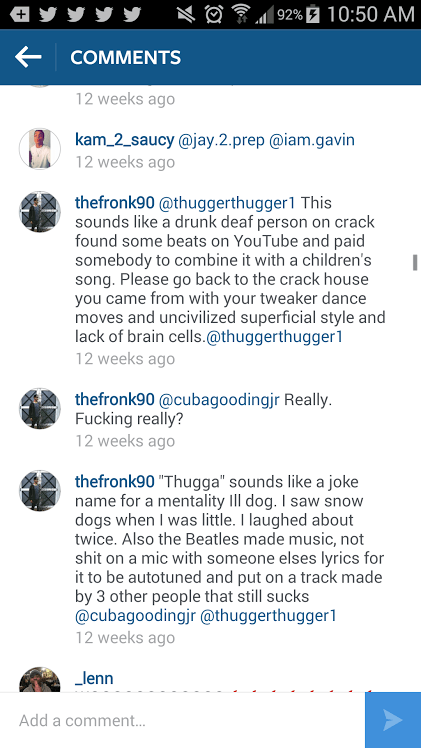 Needless to say now he is not even following his fiancee Jerrika Karlae nor his BFF Birdman. Thugger is currently under investigation for allegedly boxing a former female employee who got into a fight with his fiancee. Valerie Raven filed a police report on Sunday morning claiming that the rapper slapped her in her face outside of Palace nightclub in Atlanta. 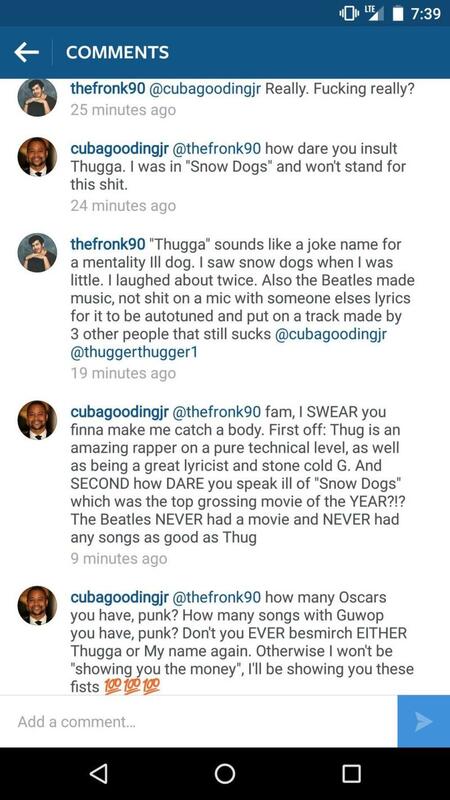 Back in December, Cuba Gooding revealed that he is a big fan of Young Thug when he publicly called one of the rapper’s song better than anything The Beatles ever put out.